Willkommen in der Shawnee-Kabine, Estes Valley Operating Permit # 6031 -ein lizenziertes Ferienobjekt. Kommen Sie und entspannen Sie sich in dieser historischen Hütte aus dem Jahr 1928, die auf der ehemaligen Ferguson Ranch gebaut wurde. Mit Aussichten und Felsvorsprüngen befindet sich diese Hütte eine Meile westlich der Innenstadt von Estes Park und etwa 3 km östlich des Rocky Mountain National Park. Diese Nichtraucher-Blockhütte verfügt über ein original warmes, knorriges Kiefernholz mit einem Holzkamin und viel Charakter. Genießen Sie eine angenehme Nachtruhe auf unsere hochwertigen Matratzen in den beiden Schlafzimmer, jeweils mit einer Kommode und Kleiderschrank. Die Küche mit original Douglasie-Fußböden ist einladend, mit natürlichem Licht gefüllt und ideal, um die vielen Maultierhirsche und Elche, die oft durch die Gegend wandern, sowie die Vögel zu genießen, die zu unseren Füttern kommen. Schränke sind für Ihre Bequemlichkeit sorgfältig bestückt. Das Bad hat eine große Dusche. Wir haben auch einen Picknicktisch und einen Propangrill im Hinterhof. Die nach Süden ausgerichtete Terrasse mit Blick auf den Prospect Mountain ist der perfekte Ort, um bei einer Tasse Ihres Lieblingsgetränks zu entspannen. Unsere Gäste haben gesagt, "komfortabel und einladend, ist es die schönste Hütte wir in gewesen" und "Dies war mit Abstand die bequemste und gemütlich Kabine wir in Estes Park je gewohnt habe." Hier ist der perfekte Ort, um das wahre Gefühl von Colorado in Ihrem Zuhause zu erleben und die Schönheit und Ruhe der Rocky Mountains zu genießen. Amerikas Lieblingsstädte - Nr. 2 Travel & Leisure 2013, - Elk wandert nach Belieben durch die Straßen in dieser Torstadt zum Rocky Mountain National Park, wo die belebte Main Street die Besucher mit Eistüten in der Hand zum Bummeln einlädt. Wir benötigen eine Anzahlung von 50%, um Ihre Reservierung zu sichern und einen unterzeichneten Mietvertrag. Restzahlung und 300 $ Kaution ist 15 Tage vor Ihrer Ankunft fällig. Wir vermieten nicht an Feriengäste oder Singles unter 23 Jahren, es sei denn, sie werden von einem erwachsenen Vormund oder Elternteil begleitet. Sie können aufgefordert werden, einen Altersnachweis zu liefern. HINWEIS: Wenn weniger als die Mindestnächte (3 in der Hauptsaison) zwischen anderen Buchungen verfügbar sind, können wir normalerweise zwei Nächte für Sie reservieren, wenn Sie uns eine Anfrage senden. Property was very clean and as described. Loved the fireplace as well as the bull elk roaming around the yard. Would gladly stay here again. Thank you! Very classy cabin feel. The kitchen has everything to make a good home cooked meal with spices.... coffee, tea, etc....even shampoo/conditioner... paper towels, coffee machine. If you plan your grocery shopping right...you won't ever half to leave. Two complaints, 1) the cabins are extremely close to one another. 2) there are a few loud and proud Hicks that really ruin the vibe and have too much clutter near the cabins. 3) you have to take your own trash out and the recycling to an actual recycling center....and still pay a cleaning fee. Not too big a deal, the the last thing I want to do on vaca is chores! Overall the vibe was very relaxing. Cozy slice of Heaven !!! This little cottage was just far enough out of town for quiet solitude and close enough to drive in for fun too. It's so quaint and cozy....we loved everything about it. The large elk that roamed around was a special treat too! Never been so close to them. The cabin had everything we could want....it was a cold weekend - temps in the single digits while we were there, but we were toasty warm with a fire and a little champagne - and we loved the flannel sheets so much we bought some when we got home. We actually got engaged during out stay over New Years so "Shawnee" will forever hold a special place for us. We will most certainly return maybe a summer visit!! Estes Park has much to offer but this little place was truly the best part of our trip. Carolina was easy to reach when I had a question and quick to help. Great hosts!! What an amazing trip this was! Estes Park is such a gorgeous place, with incredibly friendly people - it was a most memorable experience! This cabin was lovely, comfortable and very clean. The views are amazing! Rental was super easy, the managers were helpful and most accommodating. Our family can't wait to go back! Wonderful little cabin! Would definitely look at staying there again. 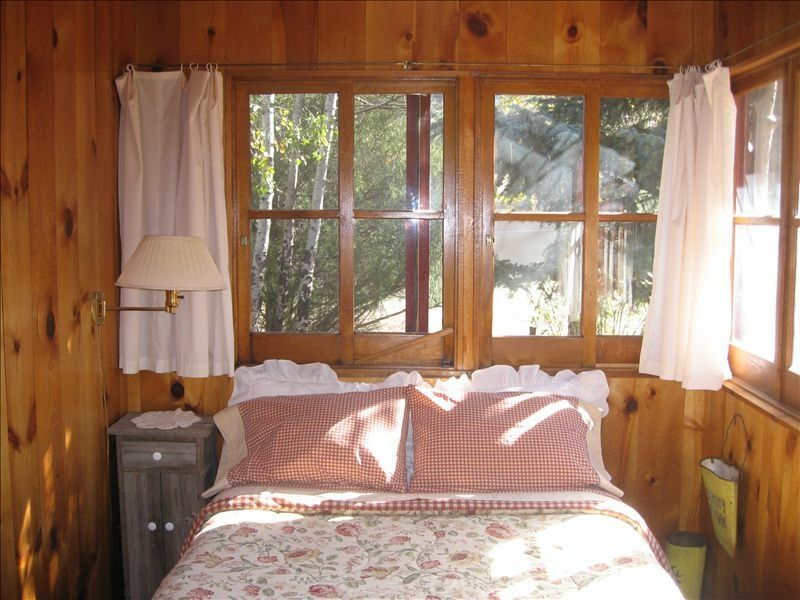 Very warm, comfortable, cute cabin. Truly a great place to “come home to” at the end of a day in RMNP. Everything we needed was provided for a good stay. Enjoyed the neighborhood flock of wild turkeys & even heard elk bugling while we stood on back porch last eve of stay. We liked the character of the 1920’s cabin . Only glitch was poor WiFi connection during stay & owner informed us it was area issue not specifically from this cabin. We would love to stay here again sometime in the future. We can book fewer than the minimum # of nts if they are available between other reservations. $100 cleaning /laundry Signed rental agreement due within 48 hrs of booking Cancellations up to 60 days before arrival have a $150 cancellation fee. After 60 days you are responsible for entire reservation amount (except the damage deposit) unless we are able to re-rent the same dates at the same rate, then just the fee. We do not rent to vacationing students or singles under age 25 unless accompanied by an adult guardian or parent. You may be asked to provide proof of age. $300 refundable damage deposit We do not charge slew of fees like many property managers do. We do not charge a "reservation fee", "administrative fee", per person fee, etc.